In 1954 Robert Klippel established a workshop in the stables at the front of 'Fairhaven', a mansion at 8 Wylde Street in the inner-Sydney suburb of Potts Point. In this photograph taken by John Pearson, he is shown with a number of his metal sculptures made between 1954 and 1957 when he left for New York. 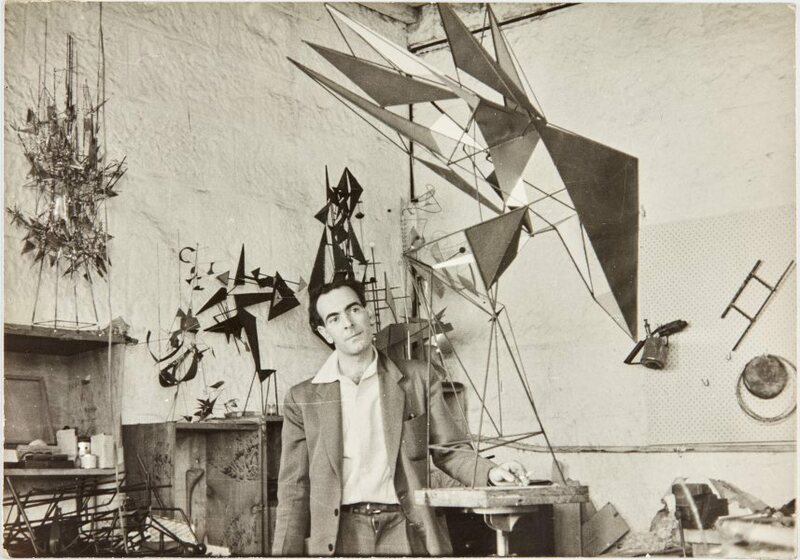 In the foreground of the photograph Klippel stands with his work 'Opus 66' 1955, now in the collection of the National Gallery of Australia. Also visible in the photograph are 'Opus 71' 1956-57 and 'Opus 73' 1957. Not signed. Dated top c., verso, ink "12. 4. 57".